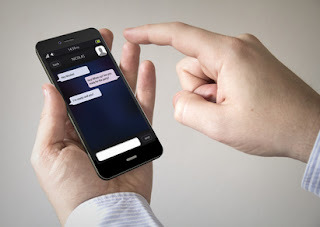 Android has got many applications which allow you to auto forward sms on android.This feature will allow you to automatically forward any sms to any one using android.Whenever you are charging your android phone or busy in any other task,then auto forward sms will work for you and will auto forward sms to any recipient at time set up by you. PhoneLeash android app automatically allow you to respond to any sms/email using any email address or a mobile phone number.With the help of PhoneLeash android app,you can not only auto forward sms but can also auto forward MMS to recipient android phone.PhoneLeash android auto forwad sms app also allow you to get your phone gps location automatically.In addition to auto forwarding sms, phoneleash android app also allow you to receive notification whenever you get sms/missed call etc. Sms forwarding is the best dynamic,fluid mobile messaging application which allows you to forward sms on android phone from one place to another. 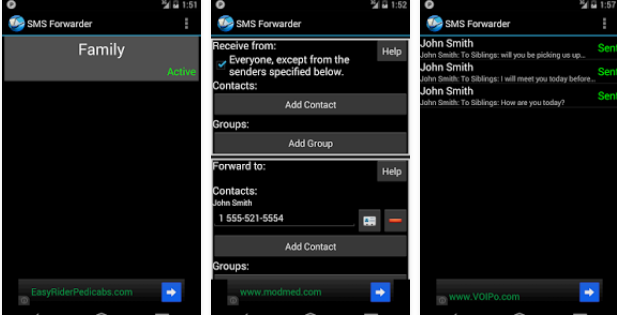 Sms forwarder just like sms forwarding also allow you to send sms on android from one place to another in an efficient way.Its simple to use and you will just have to enter the number of recipient and set settings and sms forwarder will automatically send sms on android. Mighty text sms android app just like other android sms forwarding sms also allow you to auto forward sms on android.Another good feature of mighty text sms android app is that it just not only allow you to auto forward sms but also it allow you to use your pc/computer in order to send sms to any mobile number.Mighty sms auto forward android app allow you to send MMS to computer as well as to groups.Mighty text can also use contact list,call logs etc.Mighty text sms android app allow you to auto forward sms in an efficient way.